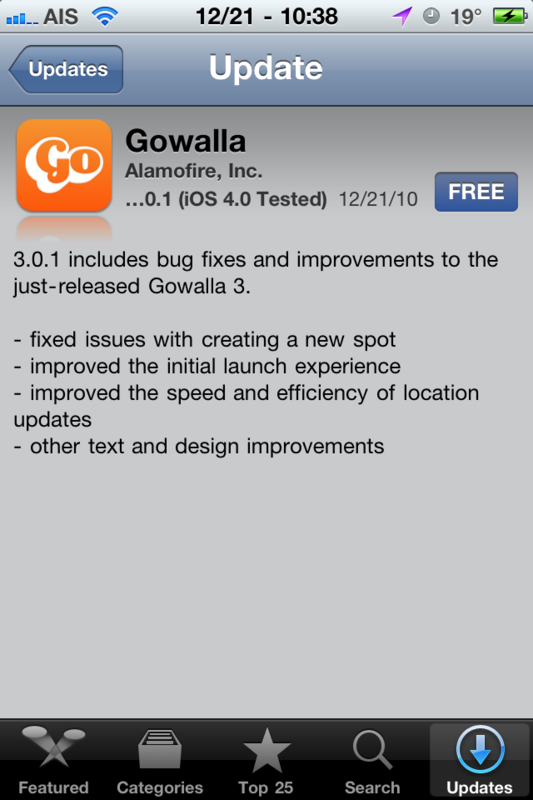 Just a quick update: Gowalla has released update 3.0.1 which has fixed the crashing problem on devices running WinterBoard, a jailbreak app that lets you customize the look of your iPhone. Of course it doesn’t say that in the despcription but I tested it and it’s working now. I’m on an iPhone 4, jailbroken running WinterBoard. The update also includes speed, efficiency, text and design improvements. Here are a few simple little mods for Christmas time. They change your slide from the unlock arrow to a candy cane, stocking, bulb, or star and changes the words “Slide to Unlock” to “Merry Christmas”. The star & blub ones also have backgrounds. You can use a program like iFile or SSH in and change the text to make “Merry Christmas” say anything else if you’d like. Snowman theme isn’t your typical Christmas theme… it’s more of a subtle Christmas feel. The theme contains around 35 custom icons however it has an icon mask which means it actually themes all icons (except Web Clips). It also contains a lock screen background, dock, wallpaper, sms background, Folders mod… etc. 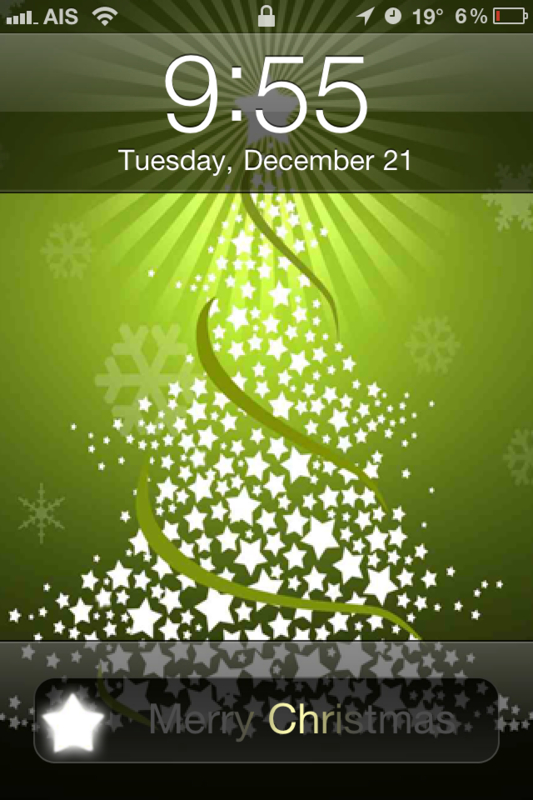 You can get Snowman Theme via the modmyi source. I’m still looking for the perfect Christmas theme. Let me know in the comments if you have a favorite. A Christmas Theme is a Christmas theme that is chalked full of mods. A few of them include; an animated falling snow lock screen, an animated fireplace wallpaper, a decent amount of icons, SMS mod, Phone mod, Safari mod, some UI mods, badges… etc. 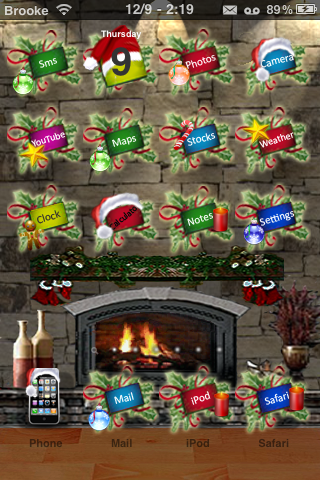 This theme is titled Christmas_Theme in WinterBoard. 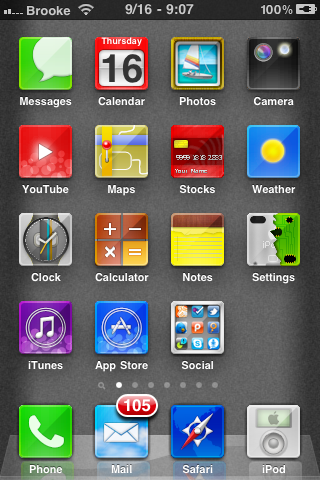 You will also want to select both the No Docked Icon Labels and No Undocked Icon Labels options in WinterBoard. 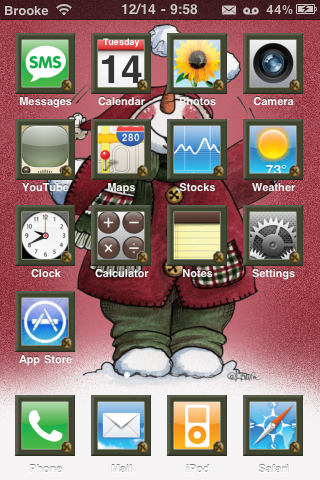 You can get A Christmas Theme via the BigBoss source. Ok, now I know this is going to be too early for some of you but it is past Thanksgiving and I did make myself hold off until after Thanksgiving before starting the Christmas theme reviews. So here we go… the first one! Christmas Theme by Chode4eve is a WinterBoard theme that contains around 25 icons (just the basic apps), a lock screen background, a Messages Background, a Phone keypad background, some system string mods, badges and some UI sounds. I’m not going to lie… Christmas themes can tend to be a little cheesy but this one has well designed icons and the backgrounds are good quality. I’m not a huge fan of the UI sounds but, I just go into iFile and rename the UISounds folder to something like UISounds(nope) and then I no longer have the theme’s built-in sounds. Other than that… a decent Christmas theme… it just makes me all cheery! 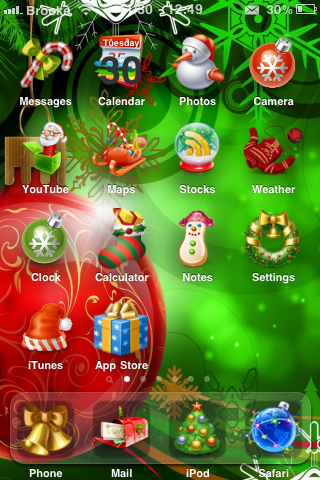 You can get Christmas Theme by Chode4eve via the BigBoss source. Check out the screenshots below. MatteFusionGZ is a simple and clean WinterBoard theme that contains 70 matte icons, a dock, status bar and badge. There are a few things to note about this theme. Acier is a unique WinterBoard theme (based on the concept of an iNav theme… you know, the original theme from back-in-the-day that started all these sweet themes). Below is a list of what you will need to install in order to use the theme correctly and instructions on how to set-up the theme. Check it out. iAwesome is a WinterBoard theme that contains 304 redesigned icons (though all icons are modded… more to come on that), wallpaper, status bar, lock screen wallpaper, lock screen battery, badges, pop-ups and quite a few UI mods. The nice thing about this theme is that it contains an icon overlay which means that all icons are modded… not just icons that have been designed for the theme. If you go into the App Store, you will see that even the icons in the AppStore are modded with the overlay. That is good news for those of you who like this theme because it means all the icons are your device will be modded… which is a rare occurrence. Check out the screenshots below. You can get the iAwesome them via the BigBoss source. High Tech is a WinterBoard theme that is available in four colors; USSR (red), Rave-Up (blue), Clover (green) and Negative Cells (orange). All four themes contain the same mods (just in the different colors); 72 icons, 5 wallpapers, dock, loading screens, lock screen battery, badges, weather app mod, phone app mod and quite a few other UI mods. The themes also contain UI sounds. Personally, I’m not a huge fan of UI sounds. If you are like me and would rather not have them, you can ssh (or use the iFile app right on your device) and locate the Library/Themes/the name of the theme you are using (ex. High Tech USSR.theme) and delete the UISounds folder. If you don’t want to delete the folder, you can just rename it to something else. 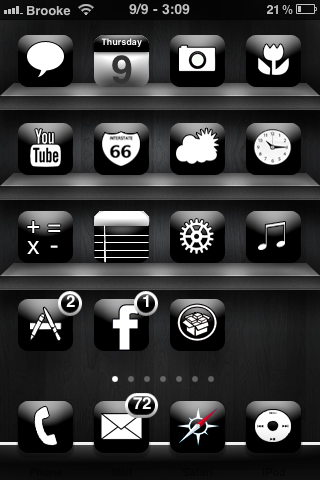 RoughDraft is a WinterBoard theme that contains 34 icons, lock background, wallpaper, dock and badges. The few icons that it does contain are well designed. The only issue with the theme is that the badge does not display. It does contain a file for the badge however, in order for it to display correctly, you will need to do some ssh work. If you are not a huge fan of the stock ‘Slide to Unlock’ slider but, do not want to get rid of the slider altogether, Slim Slide might be the mod for you. Slim Slide is a simple and clean slider that is activated/deactivated via WinterBoard. This might be a nice mod for those of you who have a lockscreen mod (such as LockInfo) and would like to have a slider that doesn’t take up as much of your lockscreen space. I had no issues when I activated the mod. You can get Slim Slider via the modmyi source. Screenshots below.